If there’s anything more exciting, or stressful, than bringing new life into the world, I don’t know what it is! One of the best parts of celebrating baby’s upcoming appearance is reconnecting with friends and loved ones prior to the big day, for a joyous, fun-filled baby shower. 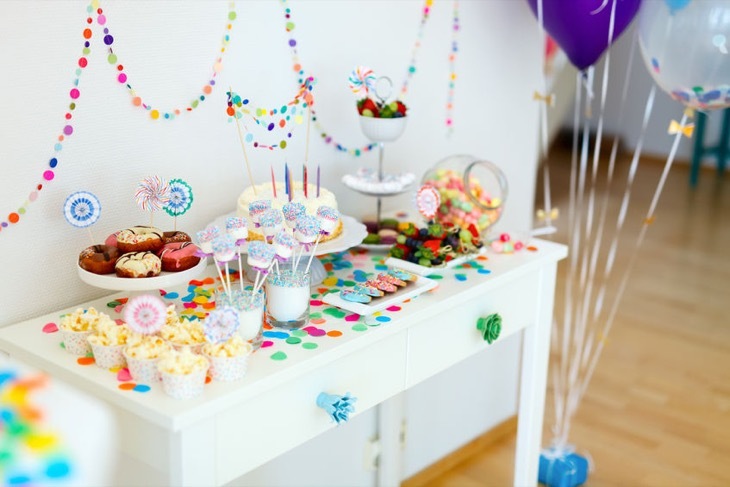 No matter who has the honor of hosting the baby shower, there are some things you’ll want to consider before getting too far into the process; games, themes, menus and more, just for starters! Whether you call, text or snail mail the invitation, do so at least three weeks before the big day. If you’re planning the shower for the lucky parent(s), be sure to consult with them about the guest list so no one is accidently forgotten—awkward! Also ask if the mom-to-be prefers a woman-only event, or if men and kids will be welcome. Will your shower have a theme? “Ready to Pop,” is a funny but apt theme, with mom’s belly being the inspiration! Have bags of gourmet popcorn on hand to pass around, pop open some bottles of sparkling cider, fill balloons with tiny surprises—you get the picture! A Disney-themed gathering is sure to be a crowd pleaser. Consider letting more adventurous guests dress up as their favorite character, with a prize for the best costume! Keep the menu simple by selecting foods that are easy to make and eat, and will survive a few hours at room temperature. A selection of salads, pizza, and fruit platters are all convenient, inexpensive and offer variety for guests with restricted diets. If you want to jazz up the menu a bit, try a beverage bar with plenty of flavorful options. How about offering a selection of hot and cold teas? Or a variety of smoothies? An abundance of fresh fruit juices are sure to please health-conscious guests as well! Once all the guests are fed and hydrated, let the games begin! There are tons of baby shower games you can choose from, so try to match the games to your guests’ personalities. Will your baby shower be filled with a creative, DIY crowd? Buy a selection of inexpensive onesies in various sizes, some fabric paints, and tell your guests to unleash their inner Picasso! Once the get-together starts to wind down (and mom-to-be is getting exhausted), it’s nice to end the day on a positive, collaborative note. Ask everyone to bring along their favorite childhood book, and conclude the party with a collective gifting. As each guest presents mom with a book (and a hug), let them share the reasons why the book is special to them. With a little planning, and a lot of love, your baby shower will be a cherished and special day for all involved.